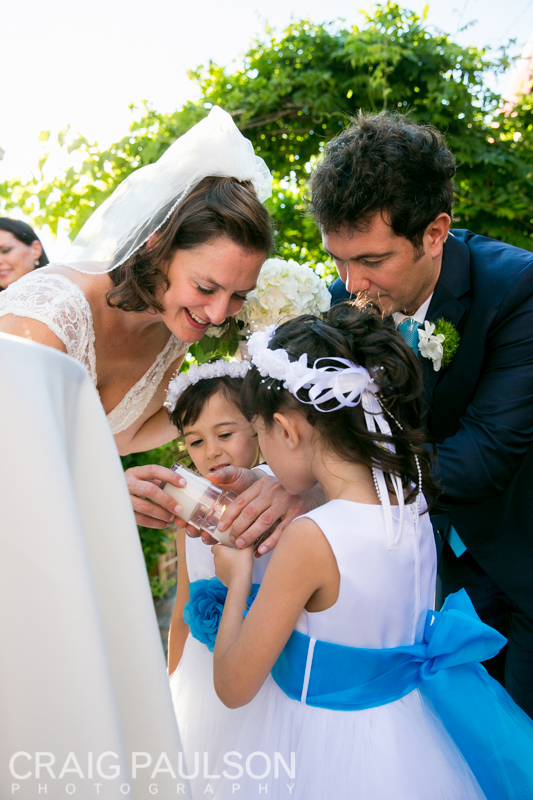 Robin and Pavle’s spectacular wedding was one that we will always remember! 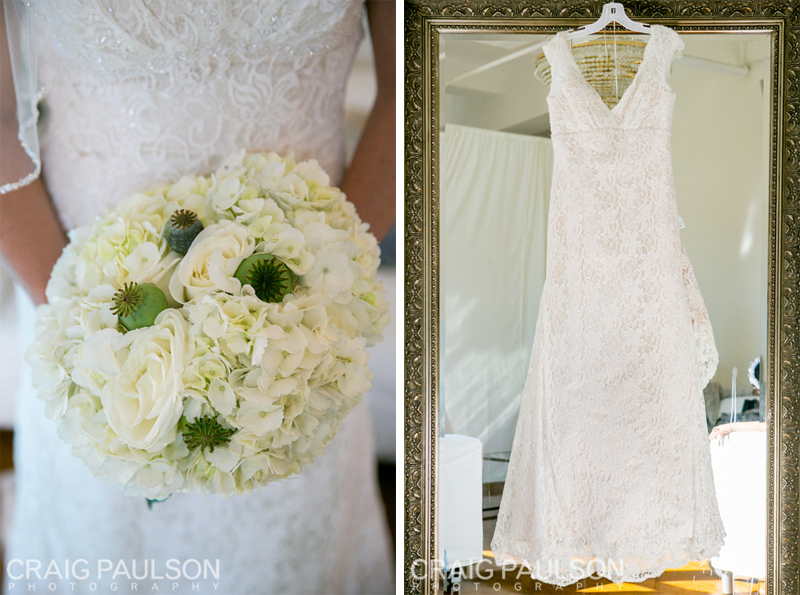 The bride and groom both got ready at Midtown Loft but opted not to see each other until the ceremony. 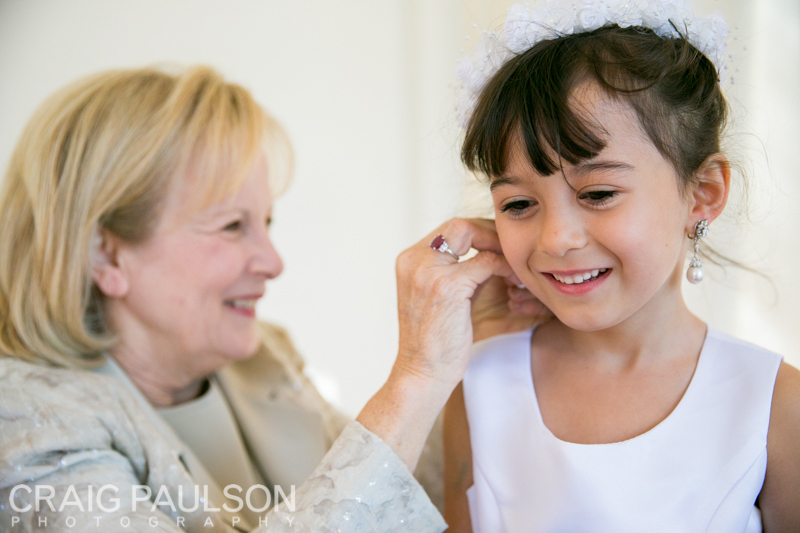 All of the bridesmaids wore beautiful blue gowns and the two adorable flower girls, (who are also Robin’s daughters!! 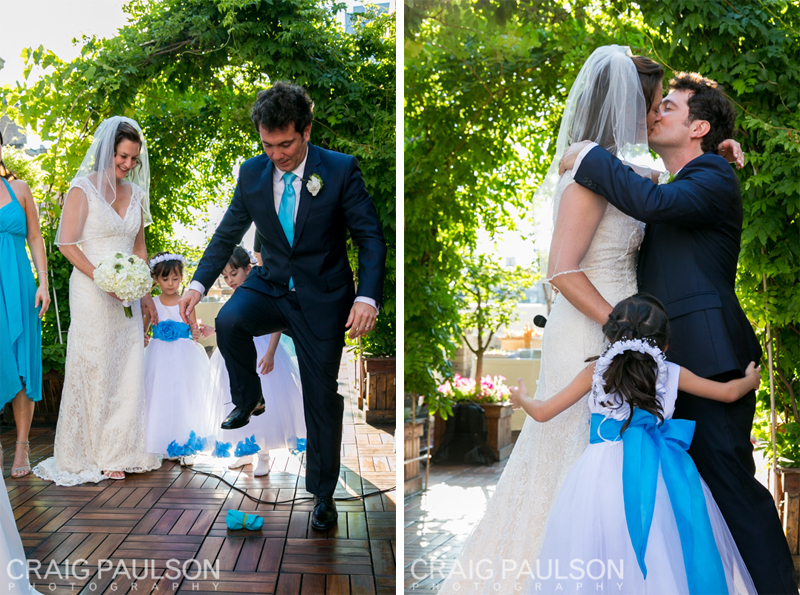 ), tied the whole bridal party together with their white and blue dresses. They kept the energy young and cheerful throughout the whole day. Additionally, all of the eye catching bouquets and flower arrangements were created by Robin’s sister in law, Claire. The decor and setting of the ceremony was breathtaking. 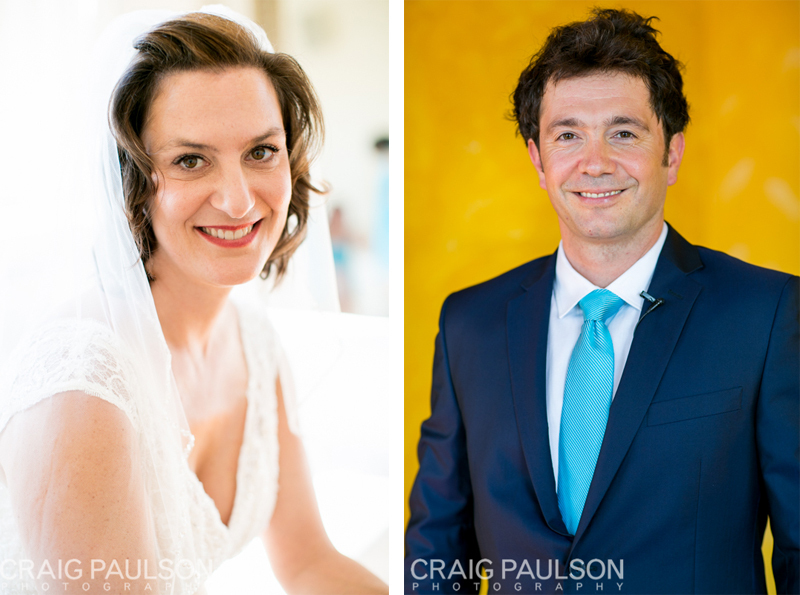 It took place on the rooftop terrace and every detail was remarkable, including the weather! 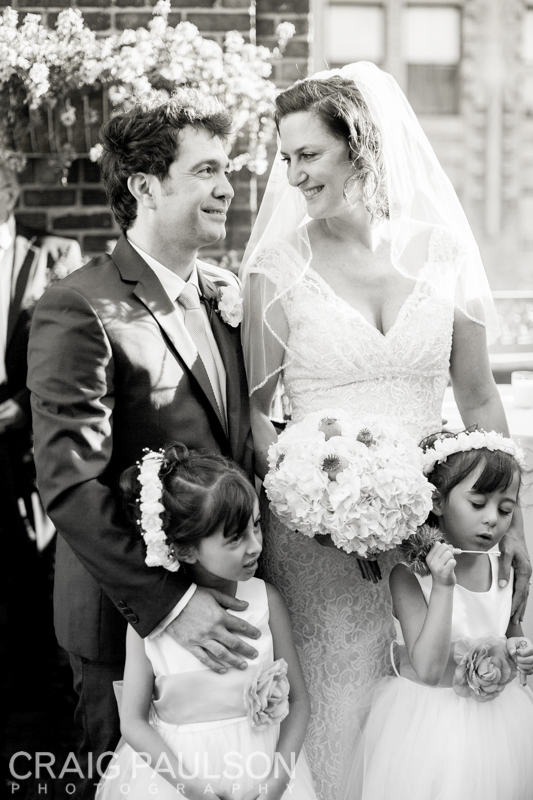 When the ceremony ended, Robin, Pavle and their two daughters bounced back down the aisle and downstairs for the reception. Before long, everybody was dancing and having a fabulous time. 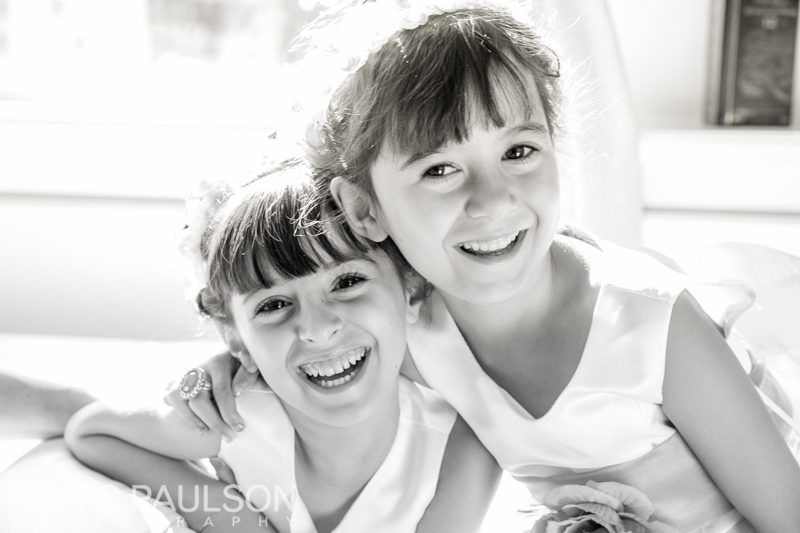 When it came time for the Hora, Robin’s daughters giggled happily as they were lifted in the chairs. Around sunset, Robin and Pavle were whisked off to the streets on New York to take some dazzling portraits. The red white and blue Empire State Building looked magnificent in the background of the photos, but it was no comparison to Robin and Pavle! Photographed by Craig Paulson with Kim Espinosa.